Harvard President Drew Faust announces that after 11 years in office, she will step down at the conclusion of the 2017–2018 academic year. During a Harvard visit, Supreme Court Associate Justices Neil Gorsuch and Stephen Breyer emphasize their deep faith in the rule and primacy of law. Harvard Business School (HBS) and the Harvard John A. Paulson School of Engineering and Applied Sciences (SEAS) announce a joint master’s program to shape leadership in tech. Khalil Abdur-Rashid, an adjunct professor of Islamic studies at Southern Methodist University and co-founder of the Islamic Seminary of America, is appointed Harvard’s first full-time Muslim chaplain. 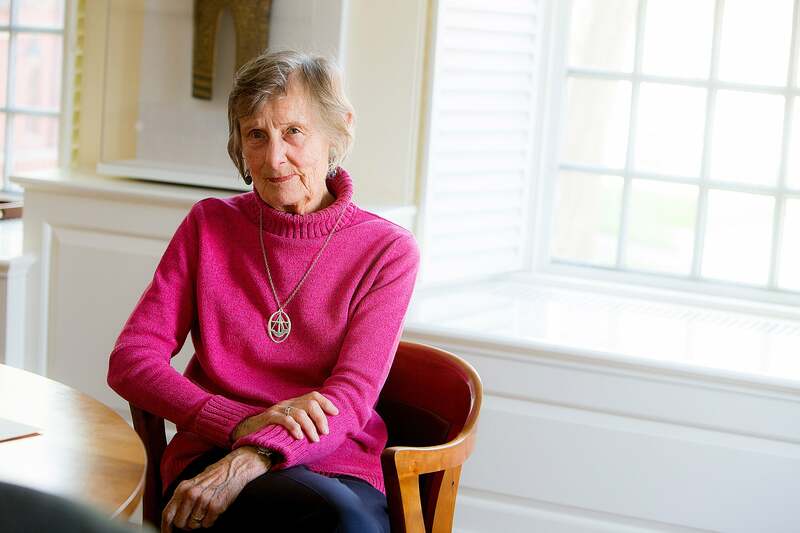 Nannerl Keohane, former president of Duke University and Wellesley College, steps down from the Harvard Corporation after 12 years on the University’s executive governing board. The Harvard Jazz Bands travel to Cuba, led by director and native Cuban Yosvany Terry, in the first such trip for the group in 25 years. Fred Lee Glimp Jr. ’50, Ph.D. ’64, whose nearly half-century of service to Harvard, including as dean of the College, left an indelible mark on generations at the University, dies at 91. The 2017 Warren Alpert Foundation Prize is awarded to Gordon Freeman and Arlene Sharpe, the George Fabyan Professor of Comparative Pathology, for their work in understanding how tumor cells sabotage the body’s immune defenses. Members of the Harvard Jazz Bands get a lesson in Cuban Jazz. Harvard scientists George Whitesides and Alex Nemiroski create a type of semi-soft robot capable of walking, in the process using drinking straws, inflatable tubing, and other household objects. The Graduate School of Design’s (HGSD) Center for Green Buildings and Cities announces the transformation of its headquarters into “HouseZero,” a retrofitted building that aims to produce more energy than it consumes. In addition to serving as a learning center for students and a testing ground for emerging technologies, the project also aims to demonstrate how existing structures can be modified so they consume less energy. John F. Manning, an eminent public-law scholar with expertise in statutory interpretation and structural constitutional law, becomes Harvard Law School’s dean. Building on their earlier work on CRISPR, a team at the Wyss Institute encodes a video clip into the DNA of living bacteria. Allen Counter, founding director of the Harvard Foundation for Intercultural and Race Relations, a neurophysiologist, educator, and ethnographer, dies at 73. The Harvard School of Dental Medicine is honored by the Boston City Council on its 150th anniversary. Chemist Charles M. Lieber, a professor in the Faculty of Arts and Sciences (FAS) and SEAS, is named a University Professor, Harvard’s highest faculty honor. Lieber will hold the University Professorship newly established by Joshua Friedman ’76, M.B.A. ’80, J.D. ’82, and Beth Friedman. Transition, a magazine published by the Hutchins Center for African and African American Research, begins publishing in Africa for the first time in nearly three decades. A portrait for S. Allen Counter is unveiled in Annenberg Hall at Harvard University. Rakesh Khurana (from left), David L. Evans, Portraiture Project artist Stephen Coit '71, and Allen Counter's daughters Maya, Olivia, and Philippa Counter, embrace under the newly unveiled portrait. Harvard Kennedy School’s (HKS) Belfer Center for Science and International Affairs launches the Defending Digital Democracy project, a bipartisan effort to safeguard elections against hacking. Digitization of Harvard’s fossil insect collection produces a surprising twist: the return to Germany of hundreds of specimens of Eocene insects frozen in amber that had been on loan since before World War II. The midpoint of the Richard A. and Susan F. Smith Campus Center renovation project is celebrated in a traditional topping-off ceremony. In anticipation of a total solar eclipse, the Harvard-Smithsonian Center for Astrophysics (CfA) gives away hundreds of solar safety glasses and releases an interactive app, giving Americans a front-row seat to the rare celestial event. Min Dong, Harvard Medical School (HMS) assistant professor of surgery at Boston Children’s Hospital, and colleagues report the first new botulinum toxin to be found in close to 50 years. A topping-off ceremony takes place at the Richard A. and Susan F. Smith Campus Center. The final beam, complete with a tree and American flag, is raised to the top. Jeannie Bachelor Lavine ’88, M.B.A. ’92 and Jonathan S. Lavine, M.B.A. ’92 make the largest single gift for financial aid in the Business School’s history, part of which funds a challenge inspiring others to support M.B.A. financial aid. 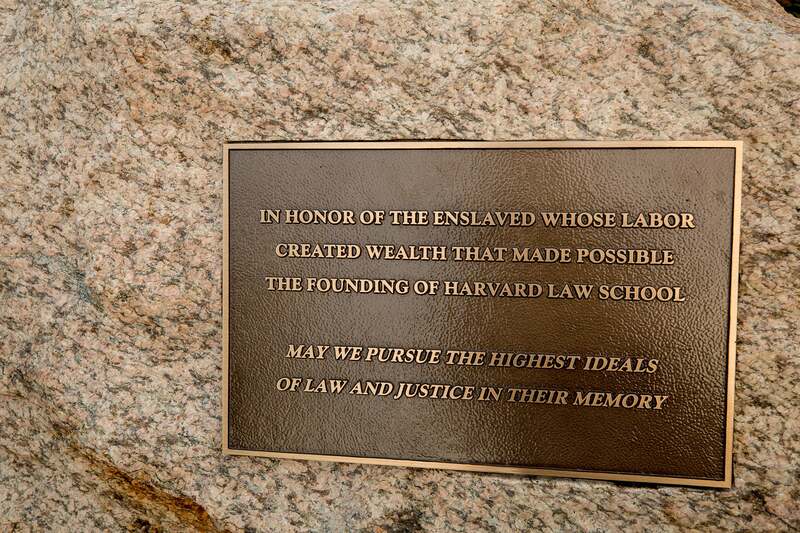 The Lavines also make gifts to the Harvard T.H. Chan School of Public Health to establish a professorship of humanitarian studies, and the Faculty of Arts and Sciences to support undergraduate financial aid and House Renewal. Shaun Donovan ’87, M.Arch. ’95, M.P.A. ’95, former Secretary of the U.S. Department of Housing and Urban Development, is named senior strategist and adviser to the president on Allston and campus development. Harvard Graduate School of Education (HGSE) Dean James E. Ryan announces he will depart at the end of the academic year to lead the University of Virginia as its next president. 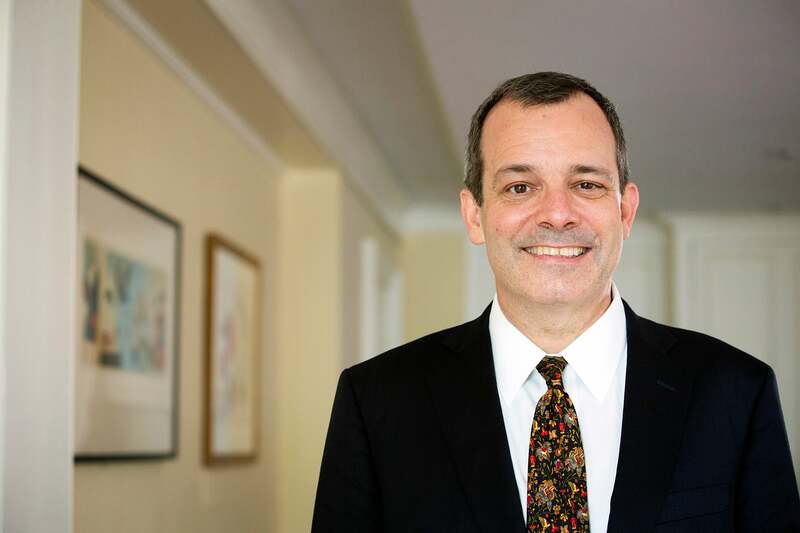 George Andreou ’87, vice president and senior editor at Alfred A. Knopf, succeeds William P. Sisler as director of the Harvard University Press. The official papers of psychologist and inventor William Moulton Marston, the complicated creator of comic book superheroine Wonder Woman, arrive at the Schlesinger Library. Michael Pollan, journalist and author best known for his books on the human relationship with food, joins Harvard’s Creative Writing Program as the Lewis K. Chan Arts Lecturer. A new Harvard Forest report, “Wildlands and Woodlands, Farmlands and Communities,” finds that New England is losing 65 acres of forest a day and calls for tripling conservation efforts across the region. President Faust and Annette Gordon-Reed, the Charles Warren Professor of American Legal History and professor of history, unveil a plaque on the HLS campus to honor and remember the slaves whose labor helped fund the bequest establishing the School 200 years ago. Colombian President Juan Manuel Santos, M.P.A. ’81, receives the Great Negotiator Award at HLS. Santos was honored for his work to end Colombia’s 52-year civil war. After more than a year of renovations at Winthrop House, students return to a residence with both new amenities and neatly preserved favorite haunts. Harvard and MIT researchers develop smart tattoo ink capable of monitoring health by changing color to alert an athlete to dehydration or a diabetic to a rise in blood sugar. Smart tattoos will be able to monitor blood levels and alert patients to deficiencies in need of attention. U.S. Secretary of Education Betsy DeVos argues in favor of more school choices as a remedy for the nation’s beleaguered public education system, during a forum at HKS. Daniel Federman, the Carl W. Walter Distinguished Professor of Medicine, whose groundbreaking work helped create the field of genetic endocrinology, dies at 89. Walter C. Guralnick, D.M.D. ’41, a pioneer in oral and maxillofacial surgery education who served Harvard for more than seven decades, dies at 100. The first large-scale study of ancient human DNA from sub-Saharan Africa, by an international research team led by HMS, uncovers details about ancestry — including genetic adaptations for a hunter-gatherer lifestyle and the first glimpses of population distribution before farmers and animal herders swept across the continent 3,000 years ago. An international research team led by HMS and MIT scientists develops a paper-based test that can diagnose Zika infection within 20 minutes, without the risk of a dengue fever false-positive. The Lakshmi Mittal South Asia Institute was named in honor of a $25 million gift from Lakshmi Mittal and his family. NCAA President Mark Emmert comes to Harvard to meet with College athletes and higher education master’s degree students, and to discuss the relationship between college and athletics. Lizabeth Cohen, who has led the Radcliffe Institute for Advanced Study since 2011, announces she will step down from that post in June. Harvard unveils plans for the ArtLab, a new hub for arts innovation in Allston. SEAS celebrates its 10-year anniversary as a School. Retired Associate Justice David H. Souter (from left); Associate Justice Elena Kagan; Associate Justice Anthony M. Kennedy; Chief Justice John G. Roberts Jr.; Associate Justice Stephen G. Breyer; Associate Justice Neil Gorsuch; and Harvard Law School Dean John Manning take part in a public conversation to mark the 200th anniversary of HLS. The W.E.B. Du Bois Medals recognize director Ava DuVernay, artist Kara Walker, Democratic political strategist Donna Brazile, rapper and actor LL Cool J, librarian of Congress Carla Hayden, Ford Foundation President Darren Walker, and Microsoft chairman John W. Thompson. There is also a posthumous medal for educator and activist Jennifer Ward Oppenheimer. Barbara McNeil, Ridley Watts Professor of Health Care Policy and chair of the Department of Health Care Policy, is awarded the 2017 Walsh McDermott Medal. To recognize the importance of the research of Mexican archaeologist Eduardo Matos Moctezuma, Harvard Divinity School (HDS) Dean David N. Hempton, Professor David Carrasco, and other leading Harvard scholars travel to Mexico to inaugurate the Eduardo Matos Moctezuma Lecture Series. Six Supreme Court justices, five current and one retired, take part in a public conversation at Sanders Theatre to mark the 200th anniversary of HLS. Charles Lieber, Mark Hyman Jr. Professor of Chemistry, is elected to the National Academy of Medicine for his work in nanoscale materials. Colleagues and friends gather to honor longtime Harvard administrator Henry Rosovsky on his 90th birthday. The Harvard Art Museums receives a gift of 330 16th- to 18th-century Dutch, Flemish, and Netherlandish drawings from the Maida and George Abrams ’54, LL.B. ’57 collection. This gift complements the collection of Dutch Golden Age paintings given to Harvard by Anne and Peter ’52, M.B.A. ’54 Brooke. Musician and activist Sir Elton John accepts the Harvard Foundation’s Peter J. Gomes Humanitarian Award. Harvard College announces a $12.1 million grant from the Chan Zuckerberg Initiative to boost efforts to develop the next generation of public service leaders. Julian SpearChief-Morris becomes the first indigenous president of the Harvard Legal Aid Bureau in its 104-year history. Four Rhodes, three International Rhodes, and a Marshall scholarship are awarded to Harvard College seniors. More than 600 alumni and friends gathered at the Smithsonian Institution National Museum of African American History and Culture for “Your Harvard: Washington, D.C.” The evening included remarks from President Faust and Congressman John Lewis as well as a discussion with faculty that explored education as the civil rights issue of our time. This was the penultimate program in the Your Harvard series which took place in cities across the country and around the world throughout The Harvard Campaign. Provost Alan Garber and HMS scientists David Hooper, Pier Paolo Pandolfi, and Bernardo Sabatini are elected 2017 Fellows of the American Association for the Advancement of Science. Chase Sullivan, age 8, son of the Winthrop House faculty deans, presents Sir Elton John with flowers on behalf of the children of Cambridge after John received the Peter J. Gomes Humanitarian of the Year award. Harvard celebrates topping off the Science and Engineering Complex in Allston, slated for completion in 2020. The Museum of Comparative Zoology receives a donation of 150,000 beetles from the collection of the late David Rockefeller, a longtime Harvard benefactor and Overseer. Harvard Athletics announces that the 2018 Harvard/Yale football match will be played at Boston’s Fenway Park. The Radcliffe Institute for Advanced Study establishes the Susan S. and Kenneth L. Wallach House in Radcliffe Yard, in recognition of a generous commitment by Susan S. Wallach ’68, J.D. ’71, and Kenneth L. Wallach ’68, J.D. ’72. President Faust announces that the Harvard Corporation has voted to keep the policy on unrecognized single-gender social organizations in place. “While we should respect tradition, it is incumbent on us to organize the institution for the benefit of our current students and those who will follow,” said Faust. A team of astronomers, including scientists at the CfA, employs a pioneering technique to produce the highest-quality image yet obtained of the curved filament near the galaxy’s supermassive black hole. The Graduate School of Design announces a $15 million gift from Ronald M. Druker (Loeb Fellow ’76) and the Bertram A. and Ronald M. Druker Charitable Foundation to launch an ambitious renewal and expansion of Gund Hall. Calestous Juma, professor of the practice of international development at HKS and director of the Belfer Center’s Science, Technology, and Globalization Project, dies at 64. Paola Arlotta, a professor in the Department of Stem Cell and Regenerative Biology, is awarded the George Ledlie Prize for her work studying the embryonic brain in health and disease. Harvard University launches the initial development phase of a new regional innovation hub as it files regulatory plans for the Enterprise Research Campus in Allston. Harvard University’s Title IX Office and the Office for Dispute Resolution release their second annual report, highlighting the growth in University-wide educational outreach initiatives on policies and services. The transformed Harvard Kennedy School (HKS) campus opens after raising more than $108 million in a record-breaking HKS Capital Campaign for the addition of approximately 91,000 square feet of classroom, office, and common spaces. Representatives from Harvard University travel to Havana to sign a memorandum of understanding with the Cuban Ministry of Higher Education, signaling a renewed commitment between Harvard’s 12 Schools and the ministry to support faculty and student research and study in Cuba. After a 40-year career at Harvard, University Marshal Jackie O’Neill announces she will step down at the end of 2017. Pianist-composer Matt Aucoin ’12 returns to Harvard with the American Modern Opera Company (AMOC) for a series of performances at the American Repertory Theater. Matthew Aucoin '12 (from left), Keir GoGwilt '13, and cellist Coleman Itzkoff of the American Modern Opera Company perform at Mather House as part of a nine-day, student-immersive, teaching and performance residency at Harvard. Philip Deloria joins the History Department as Harvard’s first tenured professor of Native American history. Over 200 alumni and friends of the Harvard community join President Faust and Scott Abell, president of the Board of Overseers, at Cincinnati’s National Underground Railroad Freedom Center. A few minutes into the program, a sudden power outage took out all lights in the auditorium. Lit by attendees’ cell phones, the conversation went on. President Faust reflected on her time as President of Harvard and discussed some of the greatest challenges and accomplishments in the decade of her leadership. Andrew Elrick is named executive director of the David Rockefeller Center for Latin American Studies. Actress Mila Kunis is honored as Hasty Pudding’s 2018 Woman of the Year. The award for Kunis comes on the same day Hasty Pudding Theatricals announces that it will begin casting women in its shows. Hasty Pudding Woman of the Year Mila Kunis enjoys her parade with Amira Weeks ’18 (left) and Jacques Berguig ’18. Kris Snibbe/Harvard Staff Photographer..
Harvard announces the OpenScholar project will become a private startup to expand the use of the versatile web-publishing platform and take it to the next level. Funded by Ramez Sousou ’85, M.B.A. ’92, and his wife, Tiziana, a new collaboration between HDS and HKS will enable scholars to study the role that religious communities play in violent conflict. Tamara Rogers announces she will step down as vice president for alumni affairs and development at the end of 2018. A Harvard team creates the milliDelta robot, which can operate with high speed, force, and micrometer precision, making it ideal for retinal microsurgeries performed on the human eye. Harvard University’s Tuition Assistance Program, which helps cover the cost of undergraduate or graduate courses for staff, celebrates 40 years of offering lifelong learning. Hugo E.R. Uyterhoeven, M.B.A. ’57, D.B.A. ’63, an authority on general management and a member of the HBS faculty for more than 50 years, dies at 86. A new collaboration between HDS and HKS will enable scholars to study the role that religious communities play in violent conflict — and in promoting sustainable peace. Harvard Divinity School (HDS) receives a $25 million gift from Susan Shallcross Swartz and her husband James R. Swartz ’64 to begin the renewal of its main campus building, Andover Hall. The gift marks the largest in the School’s 200-year history. 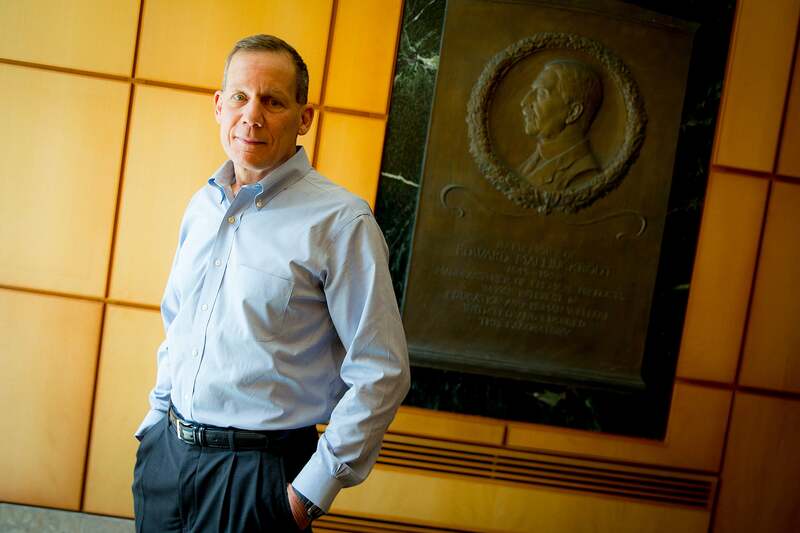 Lawrence S. Bacow is named the 29th president of Harvard University. He will begin his duties on July 1 and will be inaugurated on Oct. 5. Lawrence S. Bacow is named the 29th president of Harvard University. Mark D. Gearan is appointed director of the Institute of Politics at HKS. Harvard receives a record 42,742 applications for the Class of 2022, up 8.2 percent from 2017. Harvard Athletics and the men’s and women’s basketball programs announce the dedication of the court in the newly renovated Lavietes Pavilion as the Thomas G. Stemberg ’71 Court. Building on the success of the University’s 2006–2016 target to reduce carbon emissions by 30 percent, Harvard announces two ambitious climate goals: to be fossil-fuel-neutral by 2026, and fossil-fuel-free by 2050. In a keynote address at Yale, Harvard Professor Cornel West discusses the role that families, religious communities, civic institutions, music, the arts, and educators play in “soulcraft” — shaping the kind of human beings we become. Actor Paul Rudd is honored as Hasty Pudding’s 2018 Man of the Year. HGSE and HBS team up on a Certificate in School Management and Learning, hosted on HBX. Radcliffe’s Schlesinger Library on the History of Women in America celebrates 75 years. The library, with support from the Hutchins Center, announces its acquisition of the papers of political activist and feminist Angela Davis. Researchers in the lab of geneticist George Church at HMS announce two advances in their efforts to safely and precisely expand the genetic code of life. 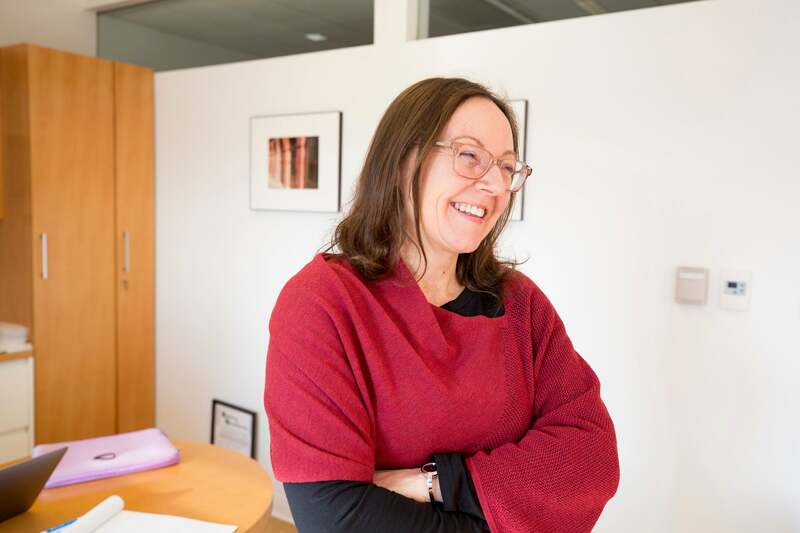 SEAS materials scientist Jennifer Lewis is elected to National Academy of Engineering for her contributions to 3-D printing of multifunctional structures. Charles Pence Slichter ’45-’46, A.M. ’47, Ph.D. ’49, an internationally known physicist who won the National Medal of Science and served for 25 years on the Harvard Corporation, including nearly 10 years as senior fellow, died Feb. 19. He was 94. The Harvard Foundation honors Grammy-winning singer-songwriter Solange Knowles as 2018 Artist of the Year during its annual Cultural Rhythms Festival. Boston Celtics player Jaylen Brown visits HGSE to discuss what it is like to be considered “too smart” for basketball, and why athletes can, and should, use their celebrity to speak up and advocate for change. HGSE and MIT partner on “Reach Every Reader,” an initiative supported by a $30 million partnership with Priscilla Chan and Mark Zuckerberg, co-founders of the Chan Zuckerberg Initiative, to improve early literacy in the U.S.
Michael D. Smith, Edgerley Family Dean of Harvard’s Faculty of Arts and Sciences, announces he will step down from leading Harvard’s largest School to return to teaching full time. Harvard’s Presidential Task Force on Inclusion and Belonging issues its final report. President Faust announces a series of initiatives to advance this work and the appointment of John Silvanus Wilson, former president of Morehouse College, as senior adviser and strategist to the president. The Boston Planning and Development Agency’s board approves Harvard’s initial regulatory document for an Enterprise Research Campus, located near SEAS’ new Allston home. The Wyss Institute develops a coating for catalytic converters, inspired by the nanoscale structure of a butterfly’s wing, that can dramatically reduce the cost and improve the performance of air-purification technologies. Harvard legal scholar Cass Sunstein wins the Holberg Prize, one of the largest international awards given to an outstanding researcher in the arts and humanities, the social sciences, law, or theology. A workshop at Radcliffe showcases “Tom-Tom,” an opera by African-American composer Shirley Graham that hasn’t been performed since its 1932 premiere. Sheet music from Shirley Graham DuBois' "Tom Tom," which has not been performed since it premiered in 1931. HMS Dean George Q. Daley announces plans for a therapeutics initiative at the School, along with the launch of the Harvard-MIT Program in Regulatory Science, and creation of an innovation hub at HMS. Berry Brazelton, HMS clinical professor of pediatrics emeritus at Children’s Hospital Boston, a prolific scholar and author, dies at 99. New research led by HMS and Brigham and Women’s Hospital unmasks hundreds of cancer-driving genes and reveals that different tissue types have variable sensitivities to those genes. Vikram Sundar ’18 is awarded a Churchill Scholarship, one of 16 given in this country. Renowned cellist and Harvard College alumnus Yo-Yo Ma ’76 visits HMS as an artist-in-residence, part of a three-year program by the Arts and Humanities Initiative at HMS. The 2018 Creativity Laureate Prize is awarded to Henry Louis Gates Jr. at the Smithsonian American Art Museum for his work in arts and criticism, humanities and historical research, genetic science, documentary film, and public service. Making “a case for the small,” James Bryant Conant University Professor Danielle Allen tells a Hutchins Center Symposium on Martin Luther King Jr. that progress in Civil Rights isn’t just about breakthroughs, but in the everyday. The Star Family Challenge for Promising Scientific Research, created by James A. Star ’83, was expanded through a gift from Josh Friedman ’76, M.B.A. ’80, J.D. ’82, and Beth Friedman and renamed the Star-Friedman Challenge. Adams House is announced as the next Harvard House slated for renewal. Harvard Business School displays the Emancipation Proclamation (clockwise from top), the 13th Amendment signed by Abraham Lincoln, and a handwritten quotation from Frederick Douglass for two days at Baker Library as part of an exhibit on the African-American Student Union at Harvard. In what could be a breakthrough for quantum computing, Harvard researchers combine two atoms for the first time into what researchers call a dipolar molecule. To increase scientific understanding of biological systems, Harvard launches an interdisciplinary research effort called the Quantitative Biology Initiative, which aims to bring together physical and life scientists to answer major questions. The American Academy of Arts and Sciences names 11 Harvard faculty to the class of 2018, including former President Barack Obama, J.D. ’91. Pierre Berastaín Ojeda ’10, M.Div. ’14, is appointed director of Harvard’s Office of Sexual Assault Prevention and Response. The Business School’s Baker Library holds a special three-day exhibit of original texts of the Emancipation Proclamation, the 13th Amendment to the U.S. Constitution, and a handwritten note from African-American leader Frederick Douglass. Microsoft co-founder Bill Gates drops by Harvard to tour the SEAS labs and talk with students about making the most of their time here. Pulitzer Prize-winning author Colson Whitehead ’91 is awarded the Harvard Arts Medal at the kick-off ceremony for Arts First. 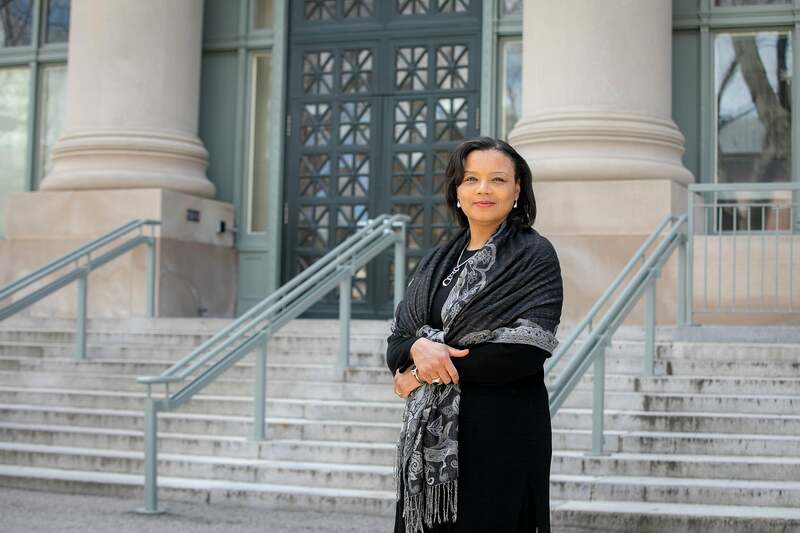 Tomiko Brown-Nagin, a leading historian on law and society as well as an authority on constitutional and education law and policy, is named dean of the Radcliffe Institute for Advanced Study, effective July 1. Harvard Medical School receives over $6 million in support from the Bertarelli Foundation — led by Ernesto Bertarelli, M.B.A. ’93, and his family — to expand the Bertarelli Program in Translational Neuroscience and Neuroengineering, including support for international research fellows, collaborative research grants, and center cores. The Women and Public Policy Program at HKS celebrates its 20th anniversary. Grammy-winning pianist Emanuel Ax visits Harvard to discuss Beethoven’s influence on Brahms. Assistant Professor Elizabeth Hinton is among 31 recognized as a 2018 Carnegie Fellow. 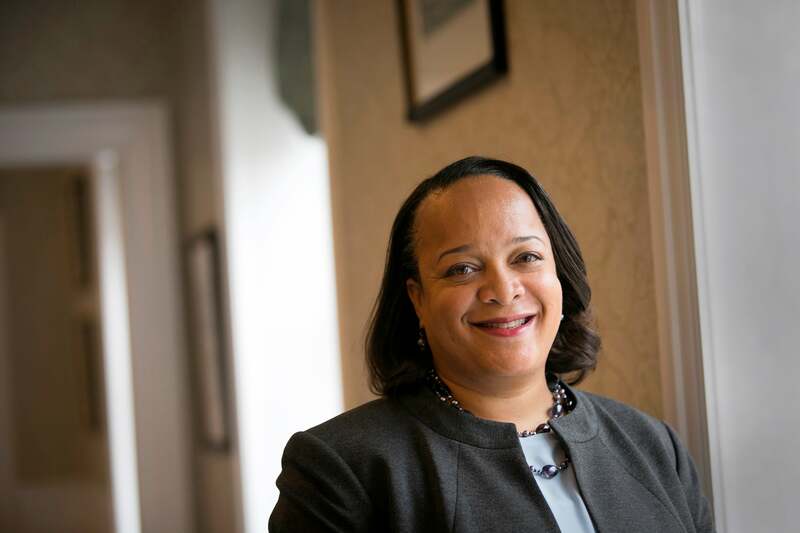 Bridget Terry Long, A.M. ’97, Ph.D. ’00, a distinguished economist who specializes in the study of education and a scholar of equity, student achievement, and social policy, is named dean of HGSE, effective July 1. 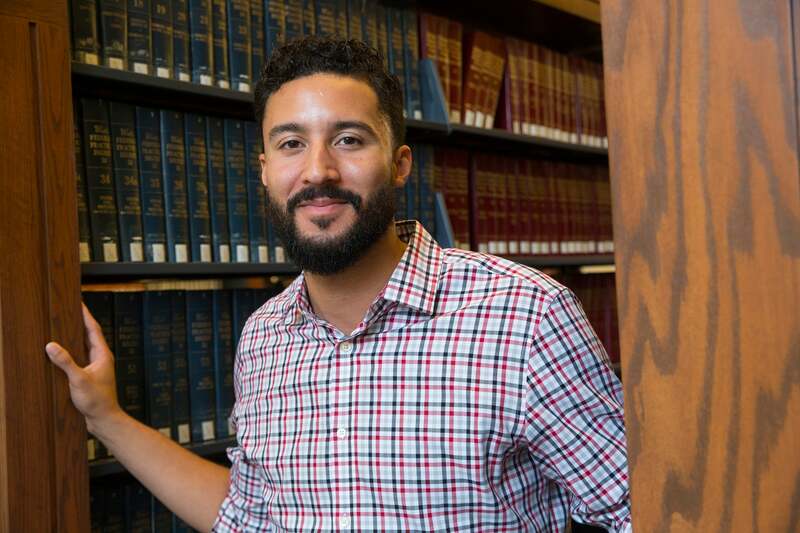 Derek Miller, John L. Loeb Associate Professor of the Humanities, and Elizabeth Hinton, assistant professor of history and of African and African American studies, win the Roslyn Abramson Award. Susan L. Carney ’73, J.D. ’77, and Gwill E. York ’79, M.B.A. ’84, will assume the roles of president and vice chair, respectively, of Harvard University’s Board of Overseers for the 2018‒19 academic year. Margaret Wang ’09 is named president of the Harvard Alumni Association for the 2018–19 academic year. Sheila Jasanoff, the Pforzheimer Professor of Science and Technology Studies at Harvard Kennedy School, is named winner of the 2018 Albert O. Hirschman Prize for outstanding contributions to social science research. The Harvard Alumni Association announces that Robert Coles ’50, Robert N. Shapiro ’72, J.D. ’78, and Alice “Acey” Welch ’53 will receive the 2018 Harvard Medal in recognition of their service to the University. The Harvard Corporation elects Penny Pritzker ’81, former U.S. Secretary of Commerce and past Harvard Overseer, and Carolyn Arthur “Biddy” Martin, president of Amherst College and former chancellor of the University of Wisconsin-Madison as two new members. They will assume their roles as Fellows of Harvard College on July 1.